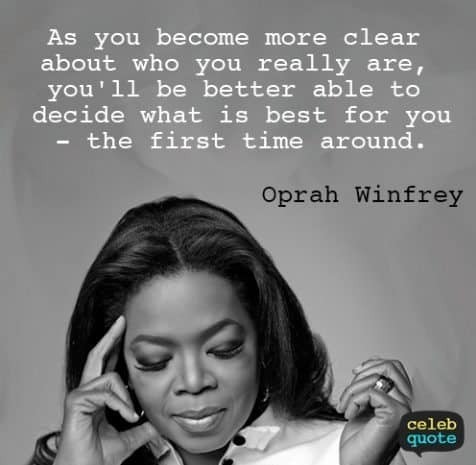 Looking for inspirational Oprah Winfrey quotes? Let’s go! Coming from the deep south and dealing with all kinds of abuse early in her life. Oprah started her career as a teacher. While teaching, she recognized her passion for media and entertainment. She was soon fired from her first job as a news reporter and was told she didn’t have ‘the look’ and wouldn’t be able to ‘connect with viewers’. A few decades later Oprah is a media mogul and an international icon of success and uses her shows and network to spread similar messages. It’s our honor to share with you these truly insightful Oprah Winfrey quotes. Enjoy! Turn your mess into a message. Don’t let your pain be in vain. Do something positive with it! Be patient. Have an order. Prioritize. Focus on what you want, now. Plan for what you want later. Embrace your uniqueness. You are different, your gift is special – own it and unapologetically share it with the world. You know you reached a high level of integrity when you don’t even care if people know or not. You just do it. Never become too busy or too preoccupied to celebrate everything you have done, all that you have and all that you are! You can’t keep all of them. You can’t make everyone happy. There is nothing more influential than your thoughts. Love yourself and all the world to love you too! A true sign of confidence is when you are able to break away from he crowd, regardless of what others say or think. Become extremely intentional with everything that you do. Be fully on purpose. Make sure everything you do supports who you are and who you want to be. Enjoy your journey. So when people ask you, how did you do it, you have a great story to tell. Stress comes from thinking that things should have been different. But they have worked out this way for a reason. ALL you can do is keep moving forward. Everything that we go through gives us a new perspective, information, and insight. Embrace all of it. 21.) “It all boils down to one thing…it is your ‘relationship’ to the source, and that relationship to that which we call God, or don’t call God, or don’t even know…is God. It is ALL that really matters…when you surrender, and stop resisting, and stop trying to change that which you cannot change, but be in the moment, be fully open to the blessings you have already received, and those that are yet to come to you, and stand in that space of gratitude, and honor, and claim that for yourself, and look at where you are, and how far you have come, and what you’ve gotten, and what you’ve accomplished, and who you are. Want more inspirational Oprah Winfrey quotes? Share your favorites with us and we will share them with the world. Despite enduring all kinds of abuse in her early life, Oprah still managed to rise to become a true definition of the American. She was told that she wasn’t cut for the media and entertainment industry but she’s now a media mogul. Oprah’s success story reminds us that we can be whatever we dream of provided we believe in our abilities. 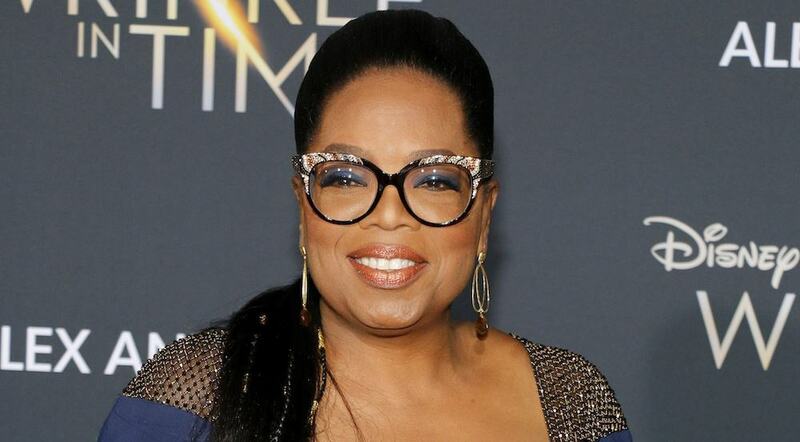 Hopefully, these Oprah Winfrey quotes have inspired you to create the highest, grandest vision possible for your life. Which Oprah Winfrey quotes were your favorite? What other quotes by Oprah would you add to the list? Tell us in the comment section below. We would love to hear all about it. 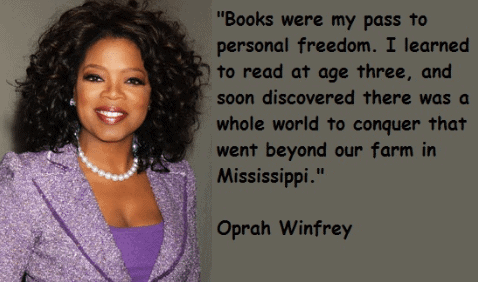 Super collection of Oprah Winfrey quotes. Great job. quote 39 is my favourite. thanks.keep it up “O”! Love you!